Hello, world, it’s Friday, October 6th and as per our schedule, it’s time to push out the weekly tech news. This week’s news covers Google launching a host of new hardware at their MadeByGoogle event, Apple Music gets a Messenger bot for full music streaming, Instagram Stories gets syndicate sharing to cross-post on Facebook, TCL’s new Blackberry device gets leaked online, Boeing acquires company working on flying taxi. This is a lot of exciting stuff so without further ado let’s get to business with the details on each of them. Google got into the hardware scene quite late but they’ve been making sure they do it just right. 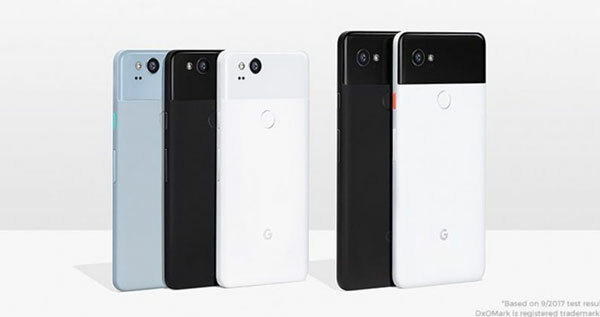 Last year the company announced the Pixel which was one of the highest rated devices of the year, along with the Google Home and Chromecast Ultra. 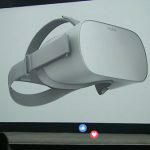 This year, the company is bringing updates to those product lineups along with some new ones. At their October 4th event, Google unveiled some pretty sweet products for the holidays. They kicked it off with the Google Home Mini, a $49 smart speaker which works just as well as the original Google Home only at a fraction of the price. It’s small enough to fit in the palm of your hand. The next product they announced was a bigger more premium version of the Google Home called the Google Home Max. It’s big and that’s not me overstating this. It has 2 big subwoofers along with a pair of tweeters. A while ago we reported that Spotify launched an iMessage application to allow easy sharing of music. 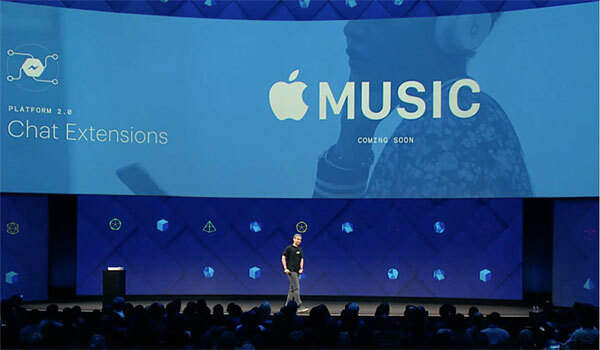 We all know that Messenger from Facebook has a much larger userbase and to cater to those billions of people on the social network, Apple Music the Spotify rival has launched a bot on the platform to allow full streaming of music within chats. The integration will allow you to stream full songs within chats. That is of course if you’re an Apple Music subscriber. If you’re not you can still share 30-second snippets. You access Apple Music by adding the extension from the chat room you’re in. The bot is pretty smart, if you send it an emoji it will suggest songs based on the nature of the emoji. It’s definitely a great feature to have for people collaboration on playlists and sharing music with friends. A while ago we reported that Instagram was testing a feature out where you could post your story on Facebook as well at the same time. This week they rolled it out. Facebook Stories, the thing that no one uses is now gonna get some appeal to it. After a month-long testing in Portugal, you will now have an option to post your Instagram Stories to Facebook directly. 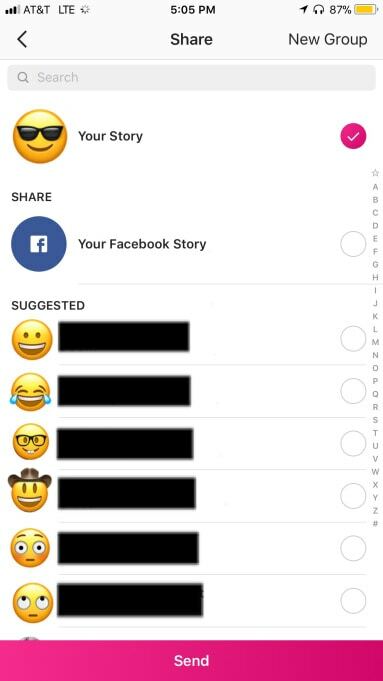 Facebook confirmed the same in a public statement saying,“You now have the option to share your Instagram Stories to your Facebook Stories. We’re always working to make it easier to share any moment with the people who matter to you”. The feature would trim the annoyance of manually cross-posting on 2 different platforms considering Stories are now the highlight among the Facebook family of apps. This announcement shows that even though the Stories feature hasn’t caught up anywhere apart from Instagram, Facebook’s commitment is still strong. After selling its hardware business and license to TCL Blackberry the original manufacturer of the Curve and Bold series has pivoted to a software business as we mentioned last time. Well, the license to sell devices under the Blackberry brand is now owned by TCL and their very first device leaked completely online. We now have a full view of the device. 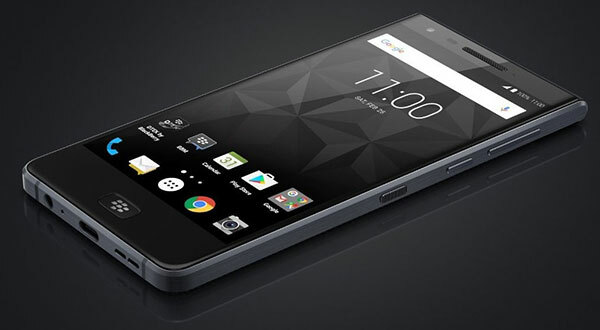 According to rumors, the phone is called Krypton but the official name would be Blackberry Motion. and packs in midrange Snapdragon SoC and a massive 4000mAh battery along with Android running on top. The phone is water resistant too. The most striking part of the device is that although TCL is trying to revive the brand based on nostalgia, they’re killing Blackberry’s most iconic feature, the physical keyboard. Unlike other major flagships this year, the Blackberry Motion is not going to be bezel-less, it has some pretty fat chin and forehead. It does have a headphone jack though. The Motion will be equipped with the robust security software that Blackberry prides itself on making. Expect more details once the device is publicly announced later this month. Almost all car manufacturers are rethinking their business and product line amidst the EV revolution. As population and space become a problem in countries like India and China, they’re also going to be forced to think about mobility and new ways of transportation. 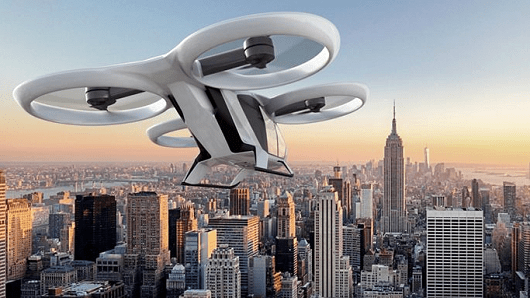 In light of the same Boeing, the airplane manufacturer has placed big bets on flying taxi and pilotless planes and has acquired Aurora Flight Sciences, the maker of the largely automated drones capable of carrying people. The details of the deals were not disclosed but the acquisition is a clear signal that Boeing is seeing the potential in automation and has a new vision for aviation. The company had said that it’s going to explore automation for commercial aircrafts. That’s all we’ve got for this week folks. Google made some pretty big announcements this week to read more about that check out THIS post. Let us know what you think about Facebook’s new strategy and Boeing’s take on the pilotless planes in the comments section or on Twitter. Until next time, this is Prateek, signing off! Thanks for sharing this information. Really a nice compilation of news!